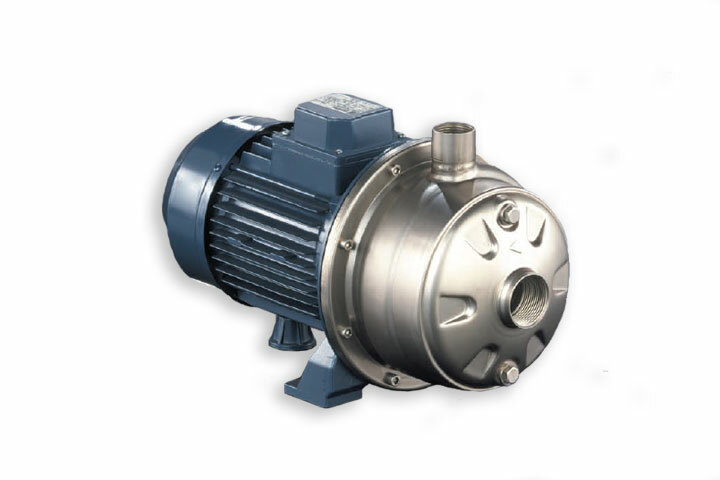 2CXDU Stainless Steel Two-Stage End Suction Centrifugal Pump - BBC Pump and Equipment Company, Inc.
Model 2XCDU two stage, end suction pumps are constructed of bulge formed stainless steel and designed for corrosion resistance, dependable performance and high-efficiency, continuous duty. Model 2CXDU utilizes an IP55 TEFC motor. High quality stainless steel components are stronger, dimensionally consistent and lighter weight compared to conventional cast iron, making EBARA centrifugal pumps competitively priced and an economical advantageous choice. High quality mechanical shaft seals and o-rings- available for standard pumping requirements, or optional high temperature and chemical duty operation.